In addition to the collaborative initiatives being undertaken as part of our Sparking Solutions agenda, funders are working together on a number of regional and statewide issues. Some of those collective efforts are highlighted below. 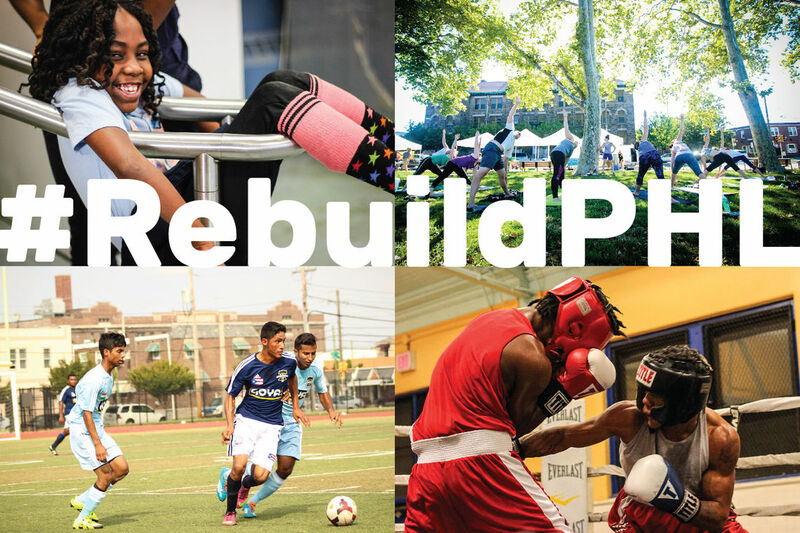 Philanthropy Network members have taken leadership to provide philanthropic support of Rebuilding Community Infrastructure (Rebuild), a seven year, $500 million joint public-private partnership to revitalize parks, recreation centers, playgrounds, and libraries across the City of Philadelphia as a way to fight poverty and strengthen neighborhoods. Link to our Rebuild page for additional information. To coordinate and streamline efforts to help nonprofits address issues of insufficient scale, duplication of effort, undefined leadership succession, limited public and private sources of revenue, and high back-office costs, eight funders came together through Philanthropy Network to pool their resources to establish the Greater Philadelphia Nonprofit Repositioning Fund. Based on similar funding models around the country, the Nonprofit Repositioning Fund was launched in October 2015. Led by director Nadya K. Shmavonian, the Fund works to improve the capacity, effectiveness and financial health of the Greater Philadelphia nonprofit sector by supporting formal, long-term strategic alliances and partnerships. After incubating the Nonprofit Repositioning Fund and serving as its host for just over two years, Philanthropy Network turned over the Fund’s administration to SeaChange Capital Partners in late 2017. This new partnership will allow the Fund to extend its experience in Philadelphia to help build the field of nonprofit collaboration at the national level. In October 2016, we released Trauma-Informed Philanthropy: A Funder's Resource Guide for Supporting Trauma-Informed Practice in the Delaware Valley. The guide was developed as a partnership of Philanthropy Network Greater Philadelphia, Thomas Scattergood Behavioral Health Foundation, and United Way of Greater Philadelphia and Southern New Jersey with the goal of raising awareness among funders about ACEs (adverse childhood experiences), trauma, and resilience and help them understand how they can apply trauma-informed practice to their work. 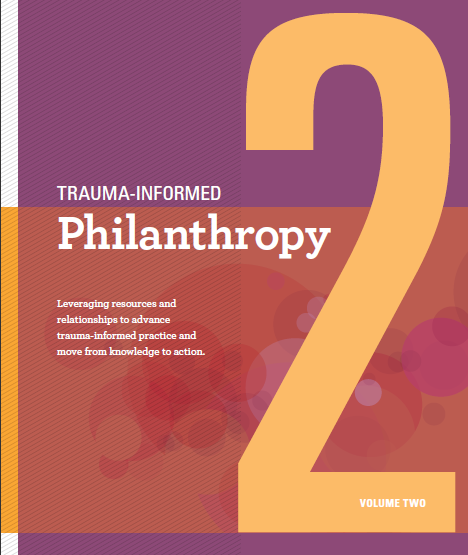 Trauma-Informed Philanthropy, Volume Two was released in March 2018. Volume Two builds on the information and insights presented in the first guide to identify how philanthropy can leverage resources and relationships to advance trauma-informed practice and move from knowledge to action. Highlights of Volume Two include: profiles of five trauma-informed change efforts in Philadelphia, featuring work across multiple service sectors and implementation domains; key learnings about cross-sector collaborative networks and the role of philanthropy as change agent, from leading national initiatives; and tools for grantmakers to advance trauma-informed approaches, through funding priorities and practices, field building, and serving as connectors and thought leaders. Download this companion infographic that portrays how philanthropy can support trauma-informed cross-sector networks. Funded by the Patricia Kind Family Foundation, The Scattergood Foundation and United Way of Greater Philadelphia and Southern New Jersey, The Community Fund for Immigrant Wellness aims to promote positive health outcomes among immigrants and refugees living in Greater Philadelphia. The Community Fund design alters the traditional process of philanthropic giving where community-based, immigrant-serving organizations define the grantmaking strategy and disseminate grant dollars from a pooled fund. Ultimately, this process shifts the power dynamic in the funder-grantee relationship by asking service providers to not only inform a funding process but to actually drive it. The fund was estblished in 2017 and issued its first RFP in February, 2018. The PA is Ready! Coalition is coordinated by the Pennsylvania Immigration and Citizenship Coalition and currently includes 22 member organizations and six partner organizations representing diverse communities throughout the state. The Coalition’s goals include increasing the capacity of organizations that assist immigrants, providing immigrant families with greater access to accurate information about their legal rights and strengthening the ability of immigrant communities to provide leadership and advocacy on issues that concern them. 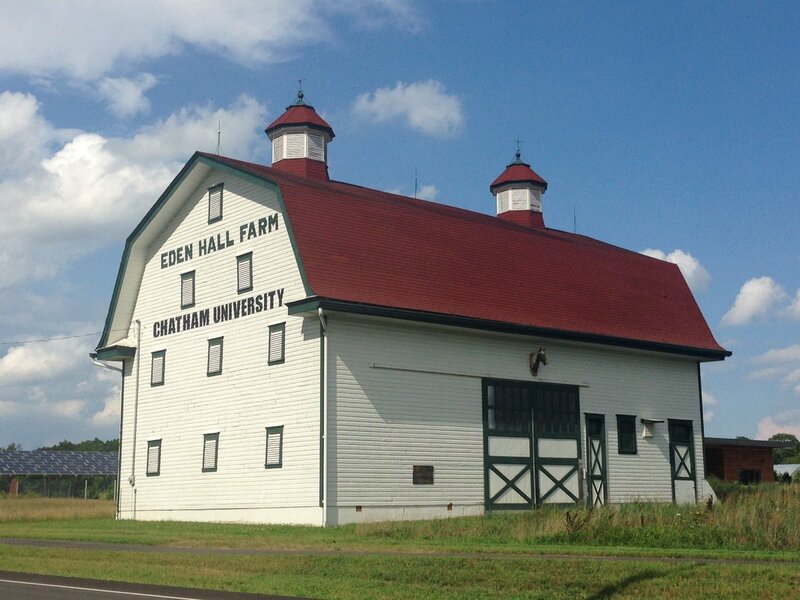 This work is supported through a unique funding collaborative, established through a $100,000 challenge grant from Open Society Foundations, with matching funds from The Philadelphia Foundation, the Patricia Kind Family Foundation, the Lancaster County Community Foundation and the William Penn Foundation. Contributions are pooled, invested and administered through a charitable fund at The Philadelphia Foundation. Learn more. In the wake of a state budget crisis in 2015, a coalition of funders from across Pennsylvania came together to explore ways to coalesce foundations across the Commonwealth in order to build a stronger statewide network of foundations to more effectively collaborate around critical issues. In addition, a special webinar on foundation support for advocacy was led by the Alliance for Justice. Sponsored by the Council on Foundations, funders from across the Commonwealth convened in State College for the first Pennsylvania Philanthropy Conference in May 2016. 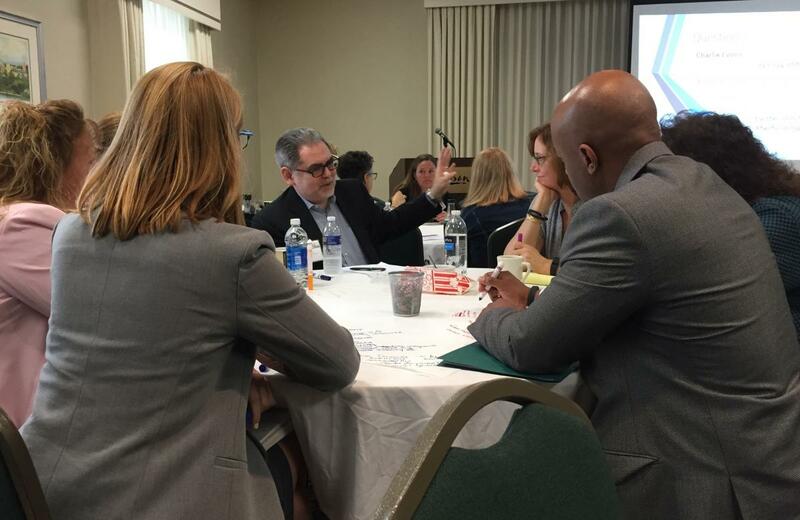 A second conference held in greater Harrisburg in May 2017 explored how funders could come together to amplify the voice of the sector on policy issues and sharpen their focus on the impact of the budget on the social safety net and the non-profit community. Over course of the two-day conference, attendees broke into teams to work with facilitators from MAYA Design in a “world café-style" format around four critical issues facing the Commonwealth: the opioid crisis; fair education funding; communities in crisis/Act 47; and human services funding. Using a public policy and advocacy lens, each group prioritized opportunities within their issue area, and devised a set of action steps to advance their goals. Over the past few years, members of Philanthropy Network Greater Philadelphia, Grantmakers of Western Pennsylvania and Pennsylvania Health Funders Collaborative have partnered to design site visits to various locations to network and learn about innovative practices to improve food systems. 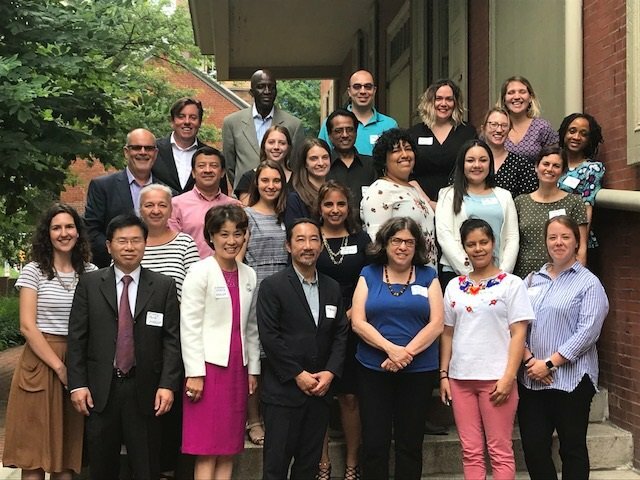 Hosted in Philadelphia in 2015 and Pittsburgh in 2016, participants had the opportunity to engage with policymakers, nonprofit leaders and other key stakeholders and experts in food systems and policy. Planning is underway for another learning exchange in central Pennsylvania in October 2017. Over the course of two days, funders will meet with farmers to learn about food production, sustainable agriculture practices, the agricultural workforce, and other challenges specific to rural Pennsylvania, and how those issues affect the urban hubs, and engage in a day of collaborative learning and planning with our advocacy colleagues at the Hunger-Free PA coalition and state policymakers. Collective impact applies a structured framework for cross-sector collaboration to address complex social issues. Many in philanthropy have embraced this approach as a means to achieving lasting, community-wide change. Visit the Collective Impact Forum to learn more.